Kelly Kral has worked in the pharmaceutical industry for more than 10 years. She started her career at Genzyme, working as a process engineer developing a fed batch process for the production of adenovirus in HEK293 suspension cells. Her responsibilities included media screening, cell growth characterization, and virus production in shake flasks, spinners, and bioreactors. She assisted in process transfer to a CMO and authored process documentation, skills she used extensively in her work as group leader for upstream process development at Percivia and in her current role of scientist I at bluebird bio. I spoke with Kral about what her experience has taught her about the tech transfer process and her thoughts on single use versus disposable. Ed Miseta: Tell us about bluebird bio. Kelly Kral: bluebird bio was launched about three and half years ago from a biotech named Genetix Pharmaceuticals, Inc, with a goal of industrializing gene therapy for the treatment of patients with severe genetic and orphan diseases. Gene therapy has been through its ups and downs in the last twenty years, but that promise of a one-time transformative treatment that will address the underlying problem, and not just the symptoms, has always been a very alluring goal. We have a phase II/III clinical program for the treatment of childhood cerebral adrenoleukodystrophy (CCALD; this is the disease depicted in the movie Lorenzo’s Oil), and several phase I/II studies for the treatment of beta-thalassemia major and severe sickle cell disease. Finally, we have a pre-clinical oncology program in the chimeric antigen receptor (CAR) T cell field under collaboration with Celgene Corporation. bluebird bio’s platform uses lentiviral vectors (LVVs), which are created by the transient transfection of HEK293T cells with several plasmids. The LVVs are then used to insert a functional gene copy into the patient’s own cells ex vivo. For ALD, beta-thalassemia, and sickle cell disease, the cells targeted are hematopoietic stem cells (HSCs), while the CAR T program targets T cells. Once the genetic sequences are inserted into the target cells, the cells are returned to the patient. As a company, we made the early decision to focus on evolution of the manufacturing of the LVV to ensure a robust, industrializable process that delivers pure, potent, safe, and scalable vector to support our goal of bringing these therapies to patients. 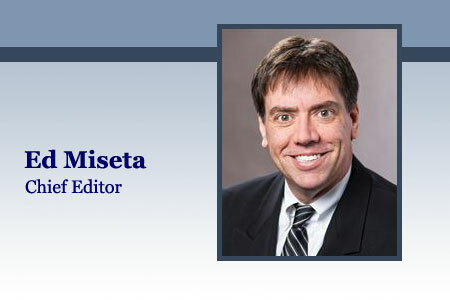 Miseta: Tell us about what you do at bluebird bio and the path you took to get there. Kral: I received my undergraduate degree in Chemical Engineering from Clarkson University, and my master’s in the same discipline at MIT, which is where I was first introduced to cell culture. My first foray into gene therapy was at Genzyme back in 2005 where I worked on creating processes for the production of adenovirus and AAV. In 2007, I moved to Percivia, a joint venture between the two Dutch companies, Crucell and DSM. The purpose of the joint venture was to create a platform around the PER.C6® cell line for protein production. As a member of the upstream process development team, I led the effort to create a platform fed-batch process using commercially available media. This process was tech transferred to our parent company, and they scaled it up to 250 L. We also tech transferred the shake flask and benchtop reactor process to numerous PER.C6 licensees, who had a wide range of previous cell culture experience. Finally, we would act as CRO and create cells lines and processes in-house for other licensees. My experience with both virus production and suspension process development made me a perfect candidate for my current position of scientist at bluebird, working on developing a suspension process for the production of lentiviral vector. The suspension process offers the opportunity to provide greater amounts of vector to ensure our ability to bring our products to as many patients as possible, while also allowing the potential for broader indications. This is a very difficult project, as transient transfection is tough to characterize and scale up, and the lentiviral vector is very sensitive to its environment. We have been developing the process over the last year in both shake flasks and bench top bioreactors. We have a first generation process, which we are in the process of tech transferring to our CMO with a final goal of scaling to 250 L in GMP. Miseta: Can you tell us about the tech transfer process, what works and what doesn’t? Are there any best practices you can share? Kral: Tech transfer seems like such a simple concept, but anyone involved in one knows that it is anything but. As mentioned above, while at Percivia, I was involved in an internal tech transfer of a fed-batch process. This was by far the smoothest tech transfer I have ever been involved with. In hindsight, I believe the reason was that they had been involved with the development of the process right from the start. As a result, the process was familiar to them, and they understood the critical parameters as well as the reasons behind the process being structured as it was. However, the majority of tech transfers were to licensees. These were generally to a process development group, so the approach was to explain the concepts behind the process as opposed to the details of the process. This was so the licensee could adapt the process to fit their needs, equipment, and skills. Additionally, we transferred this process about ten times, so each time we could learn from the questions and mistakes we had made to continue improving the tech transfer process. At bluebird, however, the tech transfer has been the more traditional transfer to a CMO for GMP manufacturing. My initial approach here was to dictate every single detail, as I needed them to replicate our process exactly. I quickly learned that trying to control every single thing was pretty futile. So I changed my approach to more mimic those transfers I had done at Percivia, emphasizing the concepts behind the process steps. I found the more they understood the why, the better prepared they were to adapt our process to their equipment and properly execute. One final lesson I have learned about tech transfers is that it needs to be a team effort. Once the transfer becomes “us” vs “them”, it becomes infinitely more difficult. If both sides feel they are on the same side trying to get the work done, that is when the transfer will run at its smoothest. Miseta: Single-use technologies still seem to be gaining in popularity. Yet some companies prefer to stick with stainless. Would you recommend the use of one or the other? Kral: I am a huge fan of disposables for numerous reasons, especially in a process development lab. The first is the speed at which experiments, namely bioreactors, can be turned around. With glass/stainless, we would add three work days to the end of every experiment to soak the vessel, clean it, rinse it, rebuild it, and finally autoclave it. With disposable bioreactors, I can now harvest an entire experiment in the morning and have the next experiment inoculated that afternoon. Another advantage is how one deals with contaminations. With glass/stainless reactors, we had extensive cleaning procedures after a contamination, including disassembling every single head plate piece, extra cleaning soaks, and replacing every single O-ring. Even then, there would occasionally be a persistent contamination that would require even more drastic actions. With disposables, you simply discard everything that contacted the contamination and start fresh with a new reactor. There is obviously a cost analysis that each lab needs to do, but timelines only seem to be getting tighter, so disposables are the only way to go for us. Miseta: When a company is growing at a rapid rate, such as yours, it can be difficult to find employees that have the skill sets you seek and are a good fit with the culture of the company. How is bluebird bio dealing with that situation? Kral: Culture is extremely important at bluebird. We have three core values – b colorful, b cooperative, and b yourself. While we understand the necessity of working in teams and being cooperative, we also celebrate the individual. Recently, our chief bluebird (CEO) was asked about the future goals of the company, and his reply was that if in three years people still wanted to work at this company, that everything else would fall into place. That was very telling to me about how serious the senior management take the culture of this company. Since I started about a year and half ago, we have more than doubled in size, recently hitting over 100 employees. Even though we are growing at such a rapid pace, we really focus on making sure our hires will fit the culture of the company. We rely very heavily on referrals from within the company, as a previous working relationship is the best indication of future performance. But we also include at least one cross-functional interviewer during the interview process whose role is to help assess the cultural fit of the candidate. However, hiring people to fit the culture is only half the battle. We have to make sure we keep supporting the culture, and we do this on two fronts – the first comes from senior management. The other is the culture team, of which I am a member. While we get to plan the fun activities for the company, we also are charged with keeping that small company, start-up feel that bluebird began with. While this can be challenging as we grow, I feel that as long as we continue to make the conscious effort to focus on our culture, that we are already halfway there. Miseta: How has being a member of Women in Bio helped you in your career? Kral: I first became involved with Women in Bio (WIB) about a year ago. After my experience of being laid off and looking for a new job, I really understood the importance of networking and was looking for a way to improve my networking skills. A friend of mine was a member of WIB and invited me to my first event. Soon thereafter, I was the lead for a networking event. I enjoyed organizing the event and bringing together women in the industry from all different companies. I was then asked to become the Greater Boston vice chair, which I gladly accepted. Along with the rest of the leadership, I have been working this year to increase membership, and have consistent, engaging programming. One of the things I find unique about WIB is the diverse membership. Members come from all different areas of biotech (science, finance, IT, admin, just to name a few), all career stages, from entry to executive, and from both academia and industry. What I like most about WIB, though, is the range of programming. I always learn something interesting from each program I attend. Additionally, we purposely try to keep the programs small and intimate so that people can have meaningful interactions with others and feel like they have left the event having made a lasting connection.